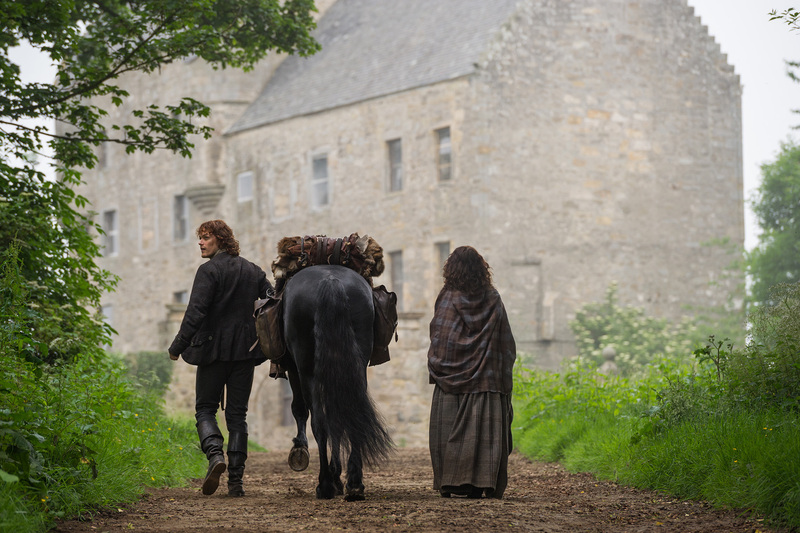 Outlander "Lallybroch" (1x12) promotional picture. . HD Wallpaper and background images in the Outlander 2014 TV Series club tagged: photo outlander season 1 1x12 jamie claire. This Outlander 2014 TV Series photo might contain سٹریٹ, شہر منظر, شہری ماحول, گلی, شہر ديکھا, and شہری سیٹنگ.